On Saturday, June 9, 2018 the Atlanta Area Council recognized the 695 Eagle Scouts of the Dr. G.P. “Bud” Peterson 2017/18 Eagle Scout Class in a ceremony at the Rialto Center for the Arts at Georgia State University. During the ceremony, Dr. Peterson spoke to the assembled Eagles about the impact of Scouting in his academic and professional career leading up to his current role as President of the Georgia Institute of Technology. Sitting in the front row for the speech was Eagle Scout Benjamin, the recipient of this year’s Glenn A. and Melinda Adams Award for Outstanding Eagle Scout Project. During the ceremony that morning, Ben had been recognized by Council Commissioner Jenny Chapin for his impressive project. 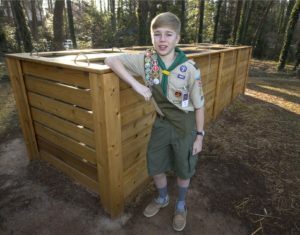 “He is a truly impressive young man,” Chapin remarked after explaining the composting system Ben built at West Side Elementary School in Marietta. 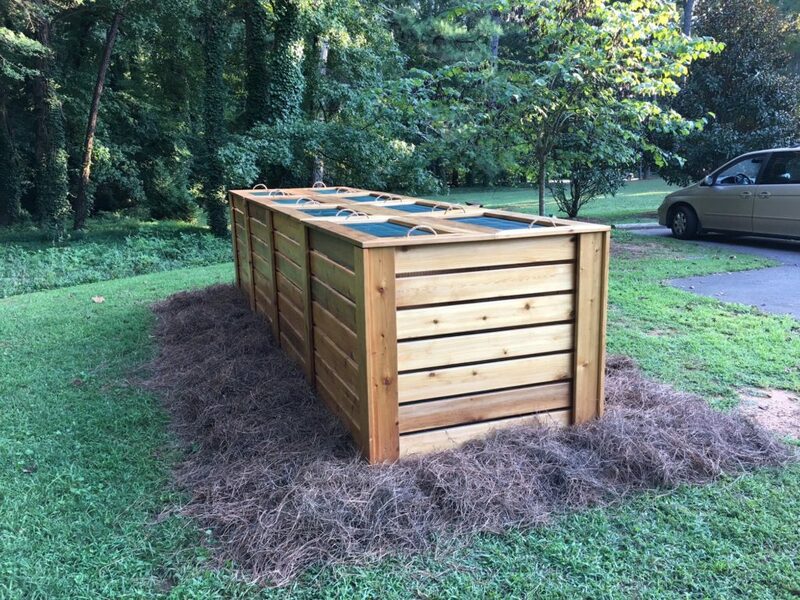 The bins will be used in interactive lessons about the life cycle of plants taught to first through fourth grade students. Both Ben and Lucia point to National Youth Leadership Training (NYLT) as the most pivotal experience during his time as a Scout. Ben liked the program so much he returned to NYLT as a youth staff member the next year, serving as a Troop Guide. Benjamin plans to stay involved in Troop 252 as a Junior Assistant Scoutmaster, attend Sea Base next summer and serve on staff for future NYLT courses. He hopes to attend medical school and become an orthopedic surgeon. Tagged Eagle Scout, Eagle Scout Project. Bookmark the permalink.